Two years ago, we proposed a radical solution to the nation’s student crisis: What would happen if everyone decided to stop paying their student loans? That is, what if all student-loan debt holders collectively agreed to rage against the college-industrial complex, and stopped paying back their loans? Or better yet, what if student-loan debt, every last cent of it, was abruptly and irrevocably erased, and every individual debt holder saw their student-loan balance change to zero overnight? The economists we spoke to about the idea more or less laughed in our faces and told us to cram our naive hypothetical down our pieholes. Essentially, they were convinced that erasing more than $1.2 trillion from the economy would deliver a disastrous shock to an already unstable U.S. economy, and likely spark a worldwide recession. Student-loan debt had basically grown too big to fail. Two years later, student-loan debt has only continued to grown, reaching a new all-time high this year of $1.4 trillion. 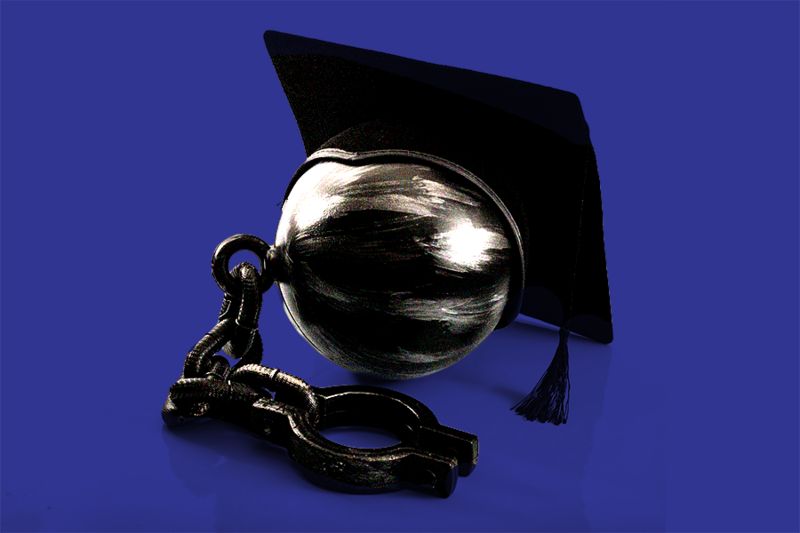 Ironically, though, the idea of partial or full student-loan debt forgiveness has started to gain traction among economists, politicians and private businesses, with members of each group coming around to the idea that the consumer benefits of student-loan forgiveness might outweigh any harm it’ll do to the finance industry. The Levy economists, however, say “inflationary effects of cancelling the debt are macroeconomically insignificant” (translation: it’s nothing to get bent out of shape about). Nor should we worry about the effect on the federal budget deficit — as the impact there, too, will be minimal. The Levy study suggests that debt forgiveness should be a matter of public policy, and indeed, many politicians are also coming around to the idea of partial or full debt forgiveness. The most famous advocate is probably Bernie Sanders, who promised to make tuition free at all public universities during his failed run for the Democratic presidential nomination in 2016 (though he didn’t say much for existing debt-holders). And Virginia Congressman Thomas Garrett, a Republican, has a proposed a novel solution that includes forgiving a certain amount of debt for every year a person agrees to forego receiving Social Security benefits. Student-loan debt forgiveness has gained traction in the private sector as well, as more and more individual companies have started helping employees paying down their debts. Aetna and Fidelity, for instance, pay off $2,000 of their employees’ student-loan debts annually, up to $10,000. For now, though, the buck more or less stops there as the Trump administration has already tried to discontinue existing debt-forgiveness programs. So it’s highly doubtful that the president would sign a larger debt-forgiveness bill. Still, in two short years, it’s no longer a stupid question. If anything, it’s become a question of when.